CAT-Law Navigator: Fracking, Earthquakes and Insurance. What the Frack is Going on? Fracking, Earthquakes and Insurance. What the Frack is Going on? While the United States Geological Survey has been traditionally more reluctant to confirm that fracking and wastewater injection are responsible for the rash of seismic activity in and around the areas where fracking is taking place, they have at least officially acknowledged that at least some of the observed earthquakes have been caused by fracking wastewater injection. In a study released in April 2015, the USGS identified 17 areas within Alabama, Arkansas, Colorado, Kansas, New Mexico, Ohio, Oklahoma, and Texas, as showing sharp increases in seismic activity due to injection of wastewater in deep wells. And it stands to reason that fracking operations are triggering earthquakes. Earthquakes are now just as likely to occur in Oklahoma as they are in California. Just last week, Cushing, Oklahoma sustained an earthquake of a 5.0 magnitude. Cushing is the largest oil storage hub in the world, holding billions of dollars worth of oil, and is nicknamed the Pipeline Crossroads of the World. While the storage infrastructure and pipelines did not sustain major damage, more than 40 buildings in Cushing sustained severe damage spread over a 16-block area and dozens of people were displaced. Oklahoma regulators said they would shutdown some disposal wells and reduce volume in others following the earthquake. The earthquake in Cushing was just the sixth 5.0 earthquake to hit Oklahoma since 1882, but 3 of those 6 major earthquakes occurred in 2016, including the strongest earthquake in Oklahoma history, a 5.8 Mw earthquake in September. In 2016, Oklahoma sustained 518 earthquakes of 3.0 magnitude or higher. From 2004 to 2008, right before the fracking oil boom hit, there was a total of nine. George Choy, a geophysicist with the U.S. Geological Survey, was quoted by USA Today as saying "The oil companies have said for a long time that these are natural earthquakes, that they would have occurred anyway, but when you look at the statistics, that argument does not fly." Generally speaking, losses due to the peril of earthquake/earth movement, are typically excluded from coverage under standard commercial all-risk property policies. However, most carriers will give policyholders the option to purchase this coverage through an endorsement to the policy. And, in historically seismically stable areas, such as Oklahoma, such an endorsement might have been offered at a premium price that no longer corresponds to the risk. Some insurance regulatory bodies are taking proactive steps to prevent uncertainty regarding property insurance coverage for fracking-related earthquake damage. 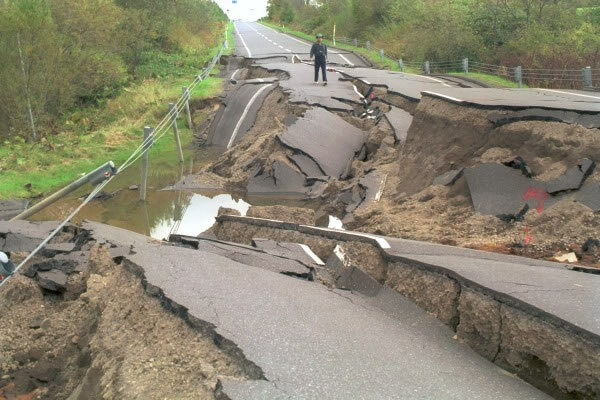 The Pennsylvania insurance commissioner has prohibited insurance carriers from denying homeowners insurance claims for earthquake damage on the basis that the quake was caused by fracking. In Oklahoma, the insurance commissioner required insurers to give official notice to policyholders as to whether or not coverage extends to earthquakes resulting from fracking. Despite these steps, it presently appears that most of the coverage questions surrounding fracking-related earthquake damage have yet to be answered. Given the variation in property insurance policies, the first questions will center on whether or not earthquake damage is covered or excluded under the policy wording. If earthquake damage is excluded, perhaps there is supplemental coverage for a resulting fire or water damage by virtue of a covered ensuing loss provision? Or coverage might be eliminated completely by an anti-concurrent causation provision? Perhaps the policy/endorsement covers earthquakes but excludes earthquakes or earth movement caused by non-natural or man-made causes such as fracking. What evidence might an insurer need to bring to court to prove that some earthquake damage was definitively induced by fracking operations as opposed to natural seismic activity. Additionally, if an insurer pays insurance proceeds under any of the coverage scenarios outlined above, what evidence will be required to make a recovery from the oil and gas extraction firm through subrogation? While these issues will need to be sorted out on a case-by-case and policy-by-policy basis, it seems that it would behoove property insurance carriers to make certain they are aware of the new seismic coverage risks they face in traditionally stable areas in North America.